I am loving the 70’s inspired trends right now – especially the lace-up look. I had been hawking this dress for some time at Anthropologieand am so glad I finally purchased it! 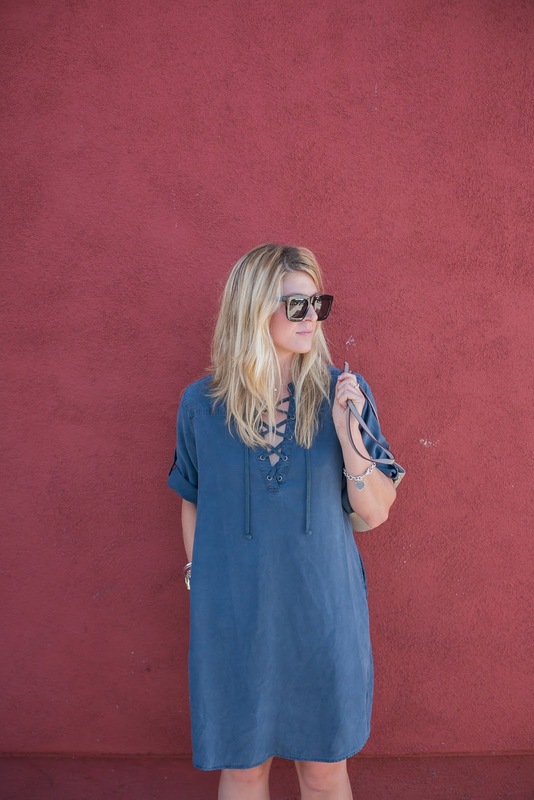 It is the perfect little shift dress for strolling around town on the weekends. And did I mention there are pockets?! If it’s got pockets, I will buy it – no questions asked!